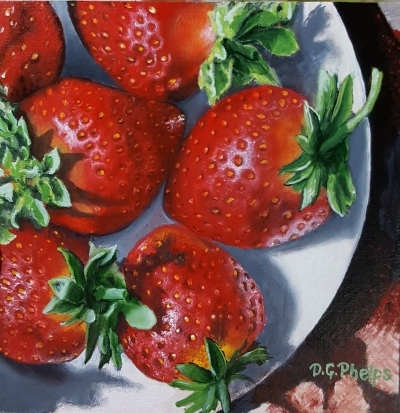 How to paint a strawberry, a very complex subject! * The Flemish Method of painting. * My New FaceBook page! How to paint a strawberry! When you see the luscious little red beauties, and then imagine you'd like to paint one, don't be afraid! There is a method that gets a really nice result. This painting is also now available on eBay! 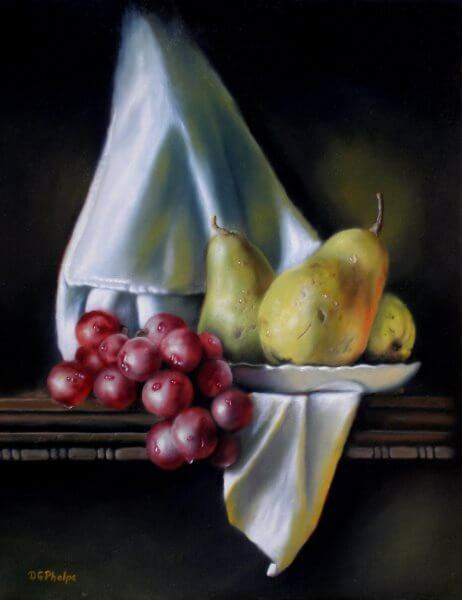 Click the link and try your luck in getting a really great bargain on a really nice painting! Not sure about this great color course? Read my full review of my likes, and dislikes of the course right here! The Flemish Method of painting! Still the best technique when starting out. It simplifies the process into understandable steps, and you get fantastic results right away. Below is a link to my Fine Art Website dedicated to just my new paintings! I also have a blog about those paintings, and the story behind their creation. Please join me in signing up for this email/newletter that will keep you posted of my latest works! Click here to jump over and sign up! I also have a free gift for you when you sign up with some of my art! Below are some of the new paintings that are available. 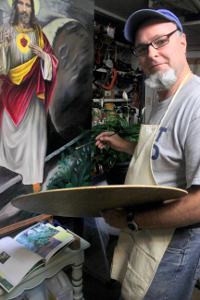 I do post a great deal of what I'm actually doing in the studio/gallery daily! So follow along with me to see new work as it happens.